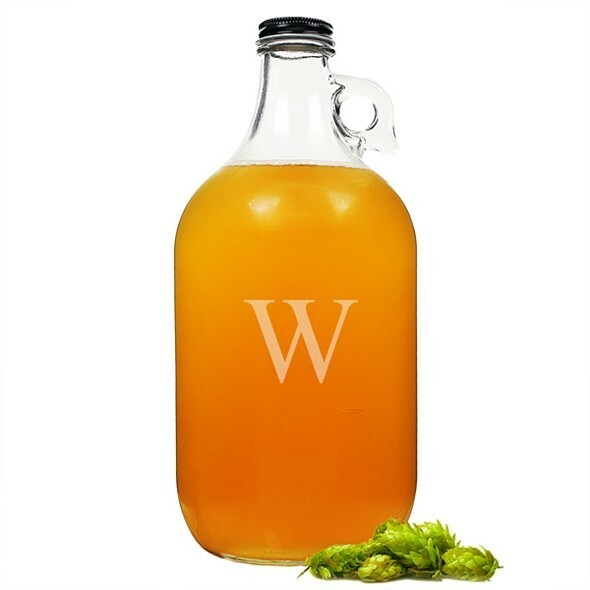 This awesome screw-topped craft beer growler is made of clear glass and is a great way to bring home a half-gallon of your favorite local brewery's "sweet nectar." It makes an ideal groomsmen gift or a present for someone with a treasured barware collection! Better yet, you get to personalize it with a single block initial at no additional charge.